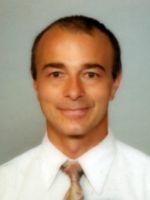 Wolfgang Linert is a Professor at the Vienna University of Technology (Austria) since 1996, where he also graduated at Physics and Chemistry. He is author of some 450 publications in the field of Inorganic Chemistry, Solution Chemistry, Chemical Kinetics and Thermodynamics Chemical Physics and Graph Theory. Furthermore, he is author and editor of 12 books concerning physic chemical application of NMR, Bio-Inorganic Chemistry, Molecular Magnetism, Chemical bonding, Solution Chemistry, etc. He was honored by the “Rudolf Wegscheider-Prize” from the Austrian Academy of Science, for contributions to the knowledge on non-aqueous solutions and solvatochromic compounds and the “Sandoz-Prize” for chemistry (bio-inorganic kinetic and molecular-biological work).